AIFIS is represented by universities, colleges, and organizations around the United States and Indonesia. In effort to share more about who we are, once a month we post a short profile about a member or past fellow of the program. Desi Adhariani, PhD, is a lecturer and researcher in the Department of Accounting, Faculty of Economics and Business, Universitas Indonesia. She holds a PhD from Victoria University, Melbourne, Australia, which was funded by an Australia Awards Scholarship. 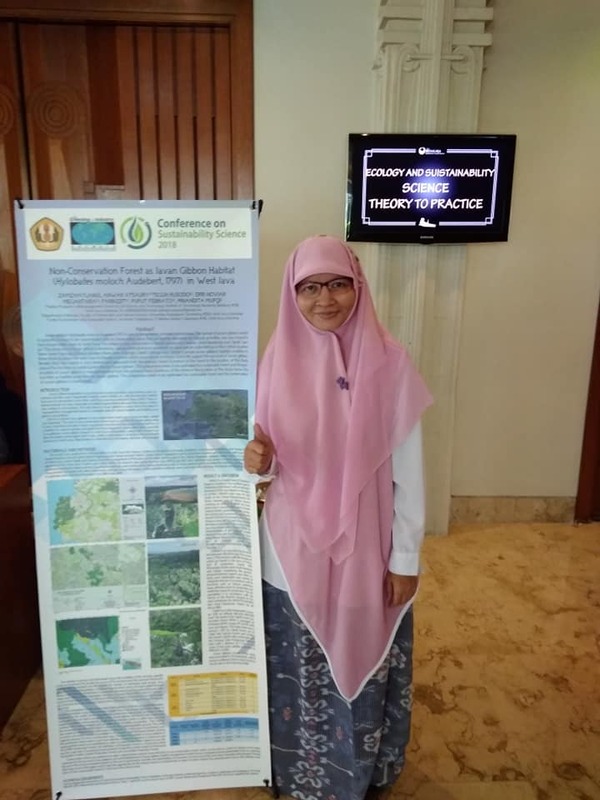 She has been actively involved in several research projects (most of them take multidisciplinary perspectives) and has attracted several research grants namely from the Indonesian Ministry of Research and Higher Education, CIMA (the Chartered Institute of Management Accountants) and Universitas Indonesia. Her PhD dissertation has been published as a book with Palgrave MacMillan: "Financial Management and Corporate Governance from the Feminist Ethics of Care Perspective" (Authors: Desi Adhariani, Nick Sciulli, Robert Clift). The complete list of her work and publications can be found in her Research Gate and LinkedIn account: Desi Adhariani. Harry Reinaldi - or more commonly known as Pak Harsos - is a frequent collaborator with AIFIS. A faculty member at Pasundan University, Pak Harsos has facilitated opportunities for several AIFIS Fellows working in Bandung. Harsos holds a Bachelors Degree in Photography from Pasundan University, and a Masters in Art Education from Semarang State University. In addition to teaching at Pasundan University, he is an active contributor to the arts community in Bandung; he is co-founder of the RAWS Syndicate, the Bandung Photography Month, the Perpustakaan Fotografi Keliling (the Mobile Photography Library), and the Indonesian Photography Archive. His nickname, Harsos, was given because of his highly social nature, Harry sosial. Gillian Irwin received an AIFIS Fellowship in 2017 to pursue her project A Moral Music Education: Indonesian National Values in Javanese Music Classrooms. Gillian is currently a Phd. candidate in ethnomusicology the University of California, Davis. In addition to being an AIFIS Fellow, she is a Fulbright Research Grant recipient, as well as a former Fulbright English Teaching Assistant. While working on her graduate degrees, Gillian has written for several ethnomusicology student publications and given presentations at various institutions in the United States, Indonesia, and China. For more information about Gillian please visit her page on the UC Davis website. “Beyond the IRB: Affirmative Consent in the Field,” Society for Ethnomusicology Student News, Volume 14, Number 1 (2018). “Victims of Globalization? Reactions to Learning the Recorder in Indonesian Music Classes,” “Sounding Board,” a blog of UCLA’s Ethnomusicology Review (2018). Kikue Hamayotsu is Associate Professor of Political Science at Northern Illinois University, Faculty Associate at the Center for Southeast Asian Studies, and a member of the AIFIS Executive Board. Her research focuses on democracy, religion, and politics in Southeast Asia, specifically in Malaysia and Indonesia. Hamayotsu’s current research looks at religious freedom and democracy, religious movements and political parties, identity politics and religious conflict. She has published numerous articles, and now working to complete a book entitled Intolerant Islam: Democratization, Religion and Conflict in Southeast Asia. For more about Hamayotsu’s work and complete list of her publications, please see her faculty page. “Conservative Turn? Religion, State and Conflict in Indonesia,” Paciﬁc Aﬀairs: Volume 87, No. 4 (December 2014): 815-825. “The Limits of Civil Society in Democratic Indonesia: Media Freedom and Religious Intolerance,” Journal of Contemporary Asia, Vol. 43, No. 4 (November 2013): 658-677. “Towards a More Democratic Regime and Society? The Politics of Faith and Ethnicity in a Transitional Multi-Ethnic Malaysia” Journal of Current Southeast Asian Affairs, Vol. 32, No. 2 (February 2013): 61-88. "Bringing Clientelism and Institutions Back In: The Rise and Fall of Religious Parties in Indonesia's Electoral Democracy", Party Politics in Southeast Asia: Clientelism and Electoral Competition in Indonesia, Thailand and the Philippines, edited by Dirk Tomsa and Andreas Ufen (London: Routledge, 2012). "Once a Muslim, Always a Muslim: The Politics of State Enforcement of Syariah in Contemporary Malaysia," South East Asia Research, Vol. 20, No. 3 (September 2012): 399-421. 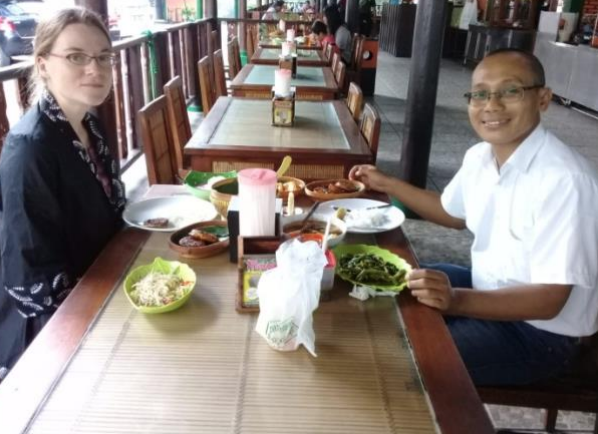 Dr. Kikue Hamayostu conducting research in Indonesia. Jonathan McLeod is a PhD Candidate in the School of Anthropology at the University of Arizona. His interest in studying environmental issues in Indonesia has roots during his high school years spent in Singapore, when he experienced the effects of the massive El Nino forest fires of 1998 during the fall of the Suharto regime. His doctoral works explores the intersection of environmental conservation, development, and indigenous land rights and identity in West Papua, Indonesia. This little explored and rapidly developing region of Indonesia is becoming a rising priority for global climate change initiatives due to Papua's vast tracts of remaining forests. Since March of 2017, Jonathan has conducted ethnographic research in collaboration with the Abun people in Tambrauw, a “kabupaten konservasi” that is one of Indonesia’s poorest districts. As the Abun and Tambrauw's other tribes seek alternative and culturally appropriate pathways to prosperity, a key component of their efforts is integrating, and even reviving, indigenous traditions. 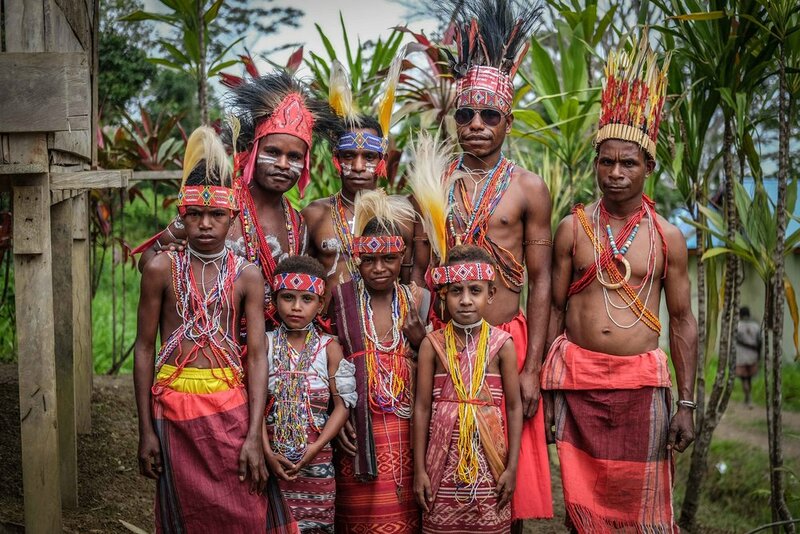 For many Papuans, this is changing a centuries-old narrative about the supposed incompatibility of indigenous culture and progress, yet also means such peoples face challenging questions about how to “develop” while maintaining their identity and values. He expects to wrap up research for his dissertation at the beginning of next year, and is already at work on several journal publications. For an example of Jonathan's writing, click here. An accomplished musician and scholar of Sundanese music and dance from West Java, Henry Spiller is a Professor of Music at UC Davis. He holds a MA in harp performance from the Holy Names College, and an MA and PhD in ethnomusicology from UC Berkeley. Henry has published prolifically on Indonesian music, often focusing on gender identity, ritual performance, and social identity in music and dance. He has published three books on gamelan and Indonesia. 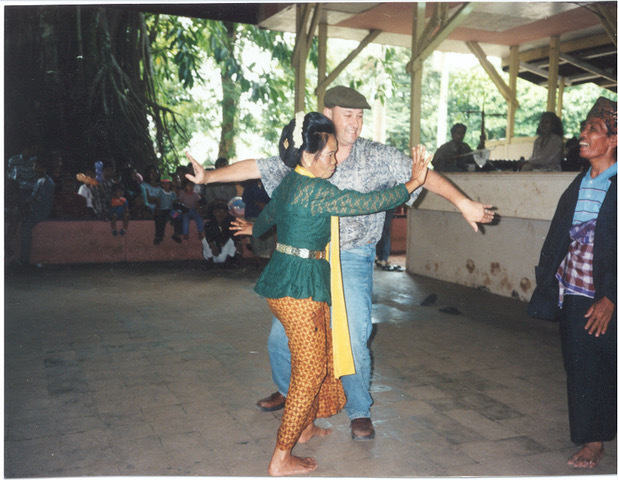 His most recent book, Javaphilia: American Love of Javanese Music and Dance, was awarded the 2016 Bruno Nettl Prize by the Society for Ethnomusicology. The book offers an innovative look at western interest in and appropriation of traditional Javanese music, addressing the cultural, psychological, and artistic motivations of four different American artists working with Javanese music and dance. Henry's writing is also included in the recent anthology, Making Waves: Traveling Musics in Hawai'i, Asia, and the Pacific.